sewyouquilt2: Do you say toe-may-toe or toe- mah-toe? Wow! Santa's workshop all year long at your house. 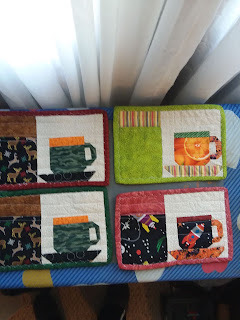 I LOVE your little mug rugs with the cups! You have such great ideas. Nothing better than home grown tomatoes! 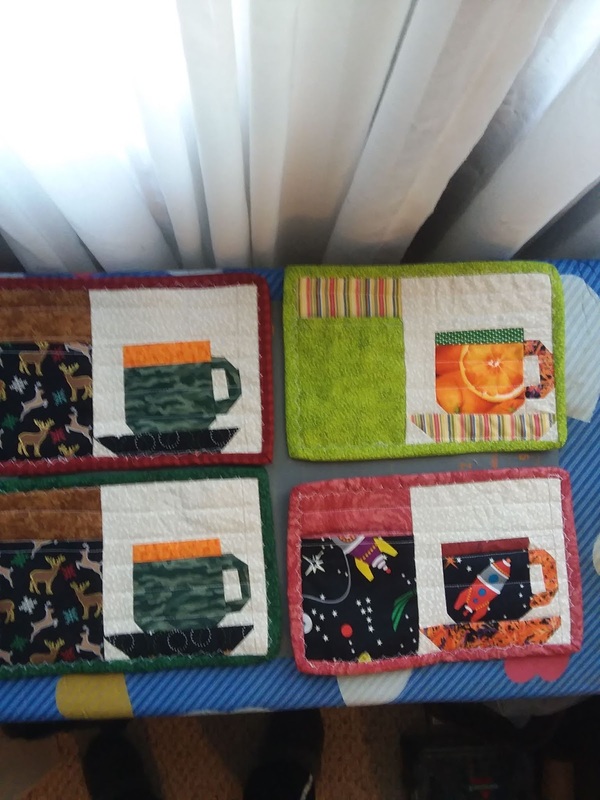 Your mug rugs are really cute! The money soap sounds like fun! Hope you are feeling better today! Toe-May-Toe sandwiches are good anytime of the day! The mugrugs came out cute. Money soap is a great idea and one way to be sure they wash their hands...LOL. down here we love our tomato sandwich's, are you better? Love your mugrugs! 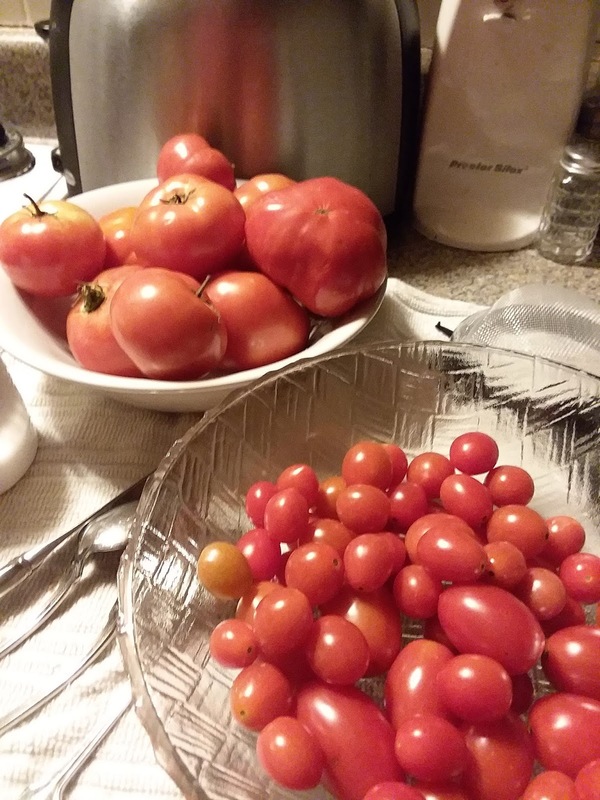 I grew tomatoes this year too! So fun to use them up. I didn't get a huge amount but it was nice to grow them anyways.